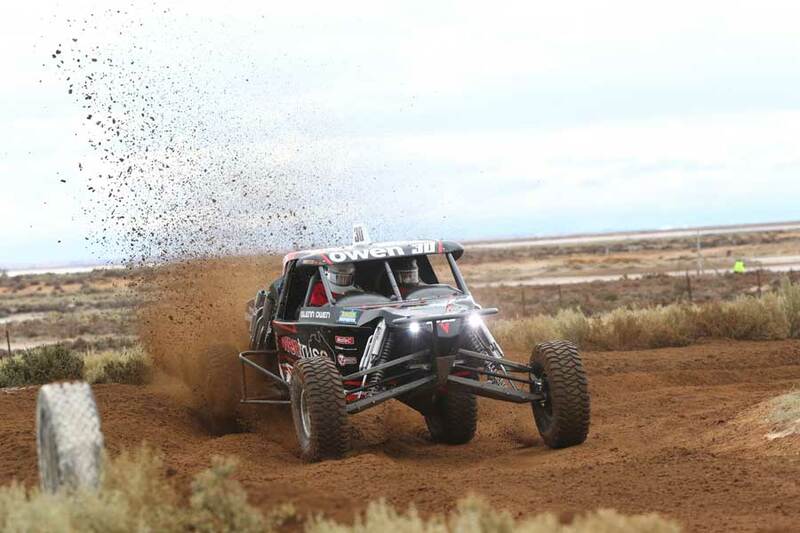 The 2018 Haeusler’s Sea Lake Mallee Rally ARB 400 Top Ten Shootout was a nail biter down to the finish. There was some winners and some losers as the top ten positions from prologue were given the opportunity to take to the track for a second and hopefully better run and time. The big winner was Glenn and Jack Owen, having sorted their throttle cable issue from prologue, the father and son moved from fifth place to pole position for Sunday’s great race. Clocking in a top ten shootout time of 4m29.7s, they stormed up the timesheets bettering their prologue time by 29.13seconds. Andy Brown and Mark Sedran #45, although saving 9.58seconds off their prologue time couldn’t match the speed of Owen, however, the two at a time start will see the Owen and Brown drag race to the first corner come race start at 9:30 tomorrow morning. 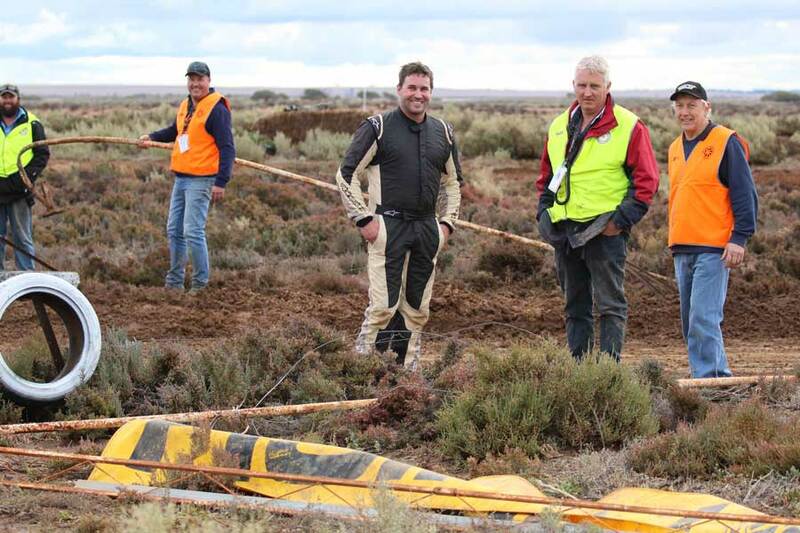 Dale Martin and Adrian Rowe #101 were shuffled to third position and took greeting the finish line to a new level; sliding into the finish line banner and crossing the timing marker with parts of the finish line banner in tow. 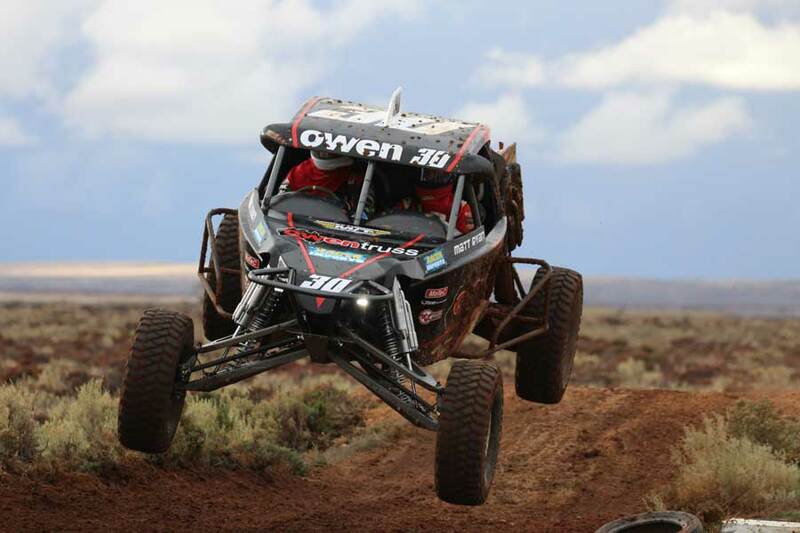 Philip Kilworth #1016 moved to fourth place with Tyler Owen and Oliver Stephens #41 dropping down to fifth. The other to leapfrog up the field was the Daryl Nissen and Andrew Harness #164 going from tenth placed prologue up to sixth place in the start order. Cameron McClelland and Kane Louttit #154 gained on position to start out of seventh with David and Alice Middlemiss #117 going from ninth to eighth place. 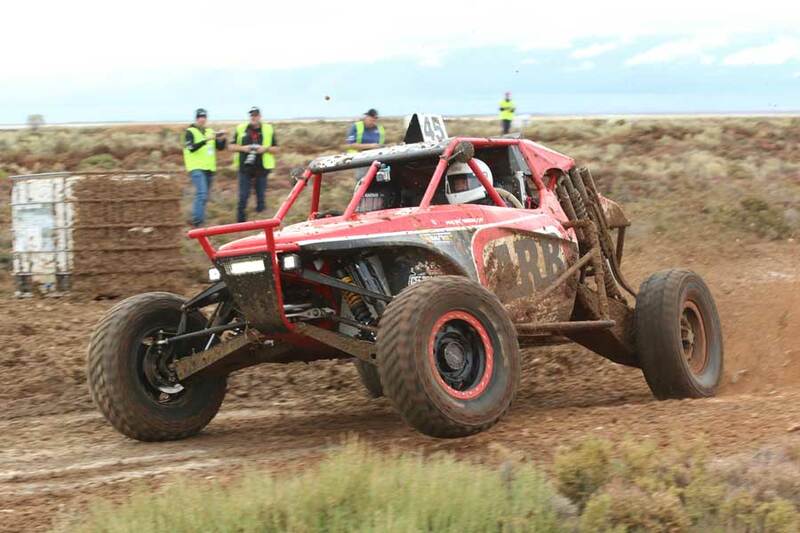 The Western Australian duo of Troy and Debbie Schoen #19 dropped down the field to ninth place even though they clocked in a 4.264second quicker time. Going from sixth to tenth place as Matt and Gary Curtis #136; once again, their quicker time by 2.78second not to hold their prologue effort. 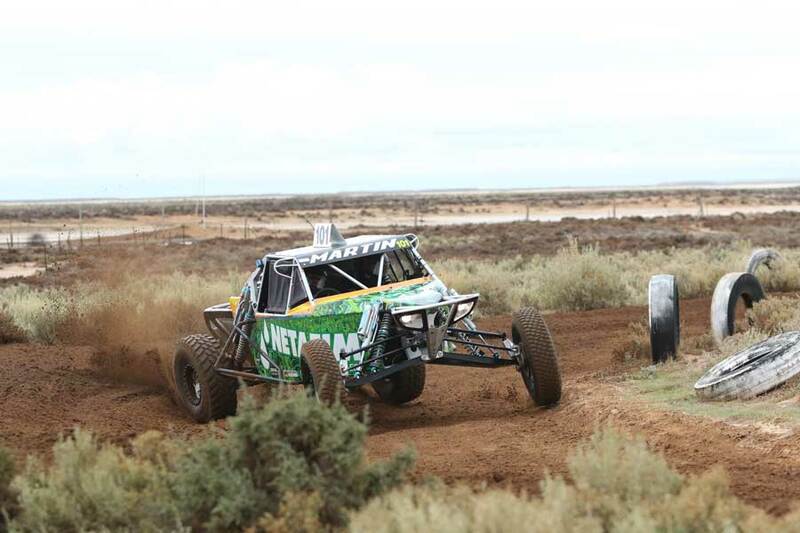 Racing gets underway at 9:30am Sunday morning, when the 2018 Haeusler’s Sea Lake Mallee Rally ARB 400, the third round of the ARB Australian Off Road Racing Championship goes green.